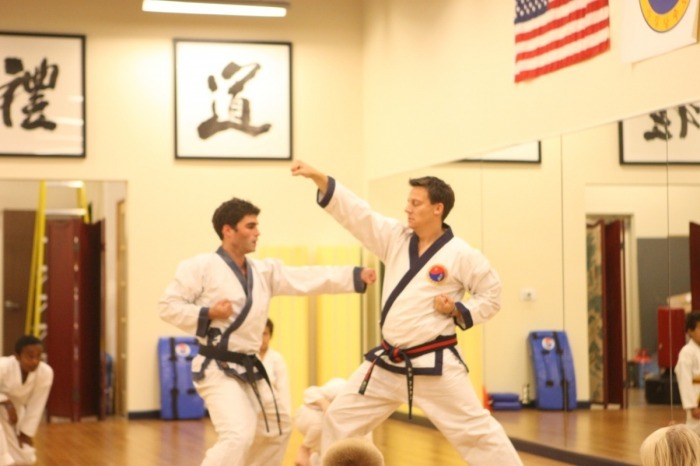 OCKicks | Orange County School of Martial Arts was established in March of 2007 by Larry Gilliland and two long-time friends and training partners Michael and Matthew Torchia. All are students of David Sgro, founder of San Kil Tang Soo Do. OCKicks | Orange County School of Martial Arts is committed to providing an atmosphere that promotes fellowship, discipline and personal growth. Our goal is to develop students' self-esteem so that they will have the confidence to successfully confront life's physical, mental and spiritual challenges. Classes are taught in reasonably sized groups with careful attention given to individual goals and challenges. Every student's success is important to us and no one sits on the bench. Progression is allowed to occur naturally with each student gaining experience and confidence at his or her own pace. Advancement in rank is never held in higher regard than personal excellence. 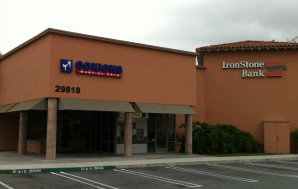 Classes are held at the OCKicks | Orange County School of Martial Arts Dojang in Rancho Santa Margarita, CA. We have a 1000 square foot hardwood bamboo floor on a floating "neo-shock" sub-floor, an ideal floor that absorbs the shock of jumping, reducing stress on bones and joints and the risk of training injuries. You can find us right across from the US Post Office in RSM adjacent to Ironstone Bank in Plaza Empresa. A dojang is a place of learning. 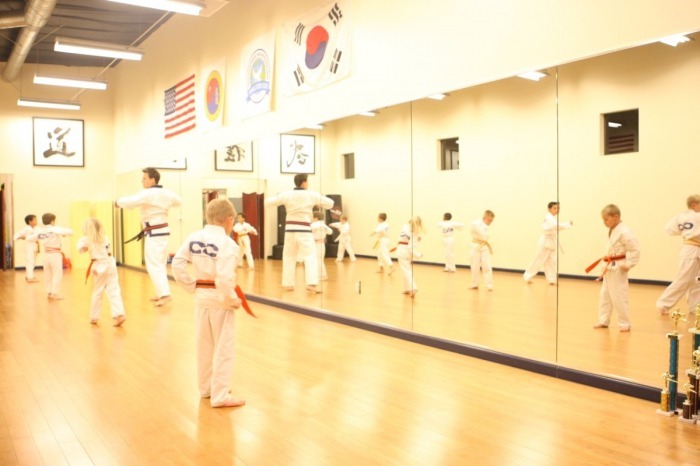 A dojang is a room for connecting with fear, anxiety, reactions and habits. A dojang is the site of confined conflict in which opponent and partner are one and the same. A dojang is a space that demands respect for every individual within its walls and on its training mats. A dojang helps us prepare for conflict in the outside world. A dojang promotes respect, harmony, self-control and self-improvement. Dojang (the place of the way) is the Korean term for any space in which a martial art is practiced. We love and OC Kicks - Orange County School of Martial Arts. The instructors and students foster a wonderful family environment that makes learning and reaching for goals fun and motivating. Our daughter has attended for nearly a year, and absolutely LOVES everything she is learning, and we love the discipline and drive she has developed! 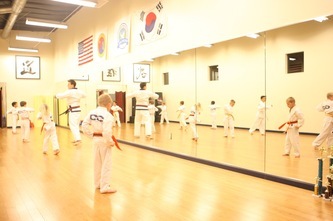 Having Shotokan background myself I researched martial arts schools in RSM area and picked OCKicks for my son. 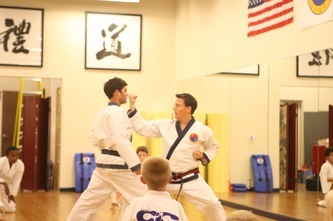 Tang Soo Do (the style Carlos Ray Norris aka Chuck Norris learned) is a style that kids all ages and adults can learn at this school, and I based this choice on my evaluation of the teachers/classes and style differences. Just watching my son in class today and at the last belt test I'm very pleased with this choice. OC Kicks is not only a great place to learn and practice Tang Soo Do, but Master Gilliland provides a great learning atmosphere where everyone is encouraged to participate. We tried a couple of studios in the area and then ended up at OC Kicks. Couldn't be happier! The instructors are fun and professional and our son looks forward to every class. At this studio we feel like family instead of clients. I would like to personally thank you for the overall quality of your program. Natalie has excelled and developed in many ways since first joining. I appreciate the personal interest that you take in your students and their families and most importantly the life application you teach and instill through this art. It is refreshing to see that the coaches demand discipline, self-control, and enforce consequence during classes – something that is often lost, yet sorely needed in the raising and development of our children today. I spent some time researching different studios and talking with a variety of different teachers, I can say with certainty that my choice to enroll Natalie at OC Kicks was the right one. Thanks for all your continued efforts and we look forward to the years ahead. Love OCKicks..professional with a fmaily oriented environment.My kids love the instructors and have learnt so much so quickly. We love OC Kicks. The kids learn so much, have fun, and are also taught about being good citizens towards their friends and family - how to be the very best person they can be. OC Kicks has a great atmosphere! My daughter loves OC Kicks! She has been attending for a year and absolutely loves it. Her self-confidence has improved greatly as she has learned not only martial arts, but important life lessons regarding safety and awareness and respect! OC Kicks has provided an awesome training and life experience for both my daughter and me for nearly 5 years. We both started as beginner white belts at age 15 and 42 respectively. Their instructors are top notch and have provided far more than just a self-defense class. Both my kids have attended since last May and we could not be happier. They are not just teaching Martial Arts, but life lessons, and children learn kindness and respect and discipline along with valuable self defense tools an have TONS OF FUN doing it. What makes OC Kicks special in my opinion is the team of instructors. Somehow they are able to reach and address different needs in each child. My older one needed to settle down and learn order and discipline and my younger one needed to come out of her shell and be more assertive - 2 extremes - and they are both thriving. Thanks OC Kicks! 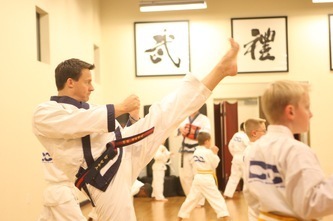 My son has been taking Tang Soo Do at OC Kicks for about 4 1/2 years and has love every minute of it. 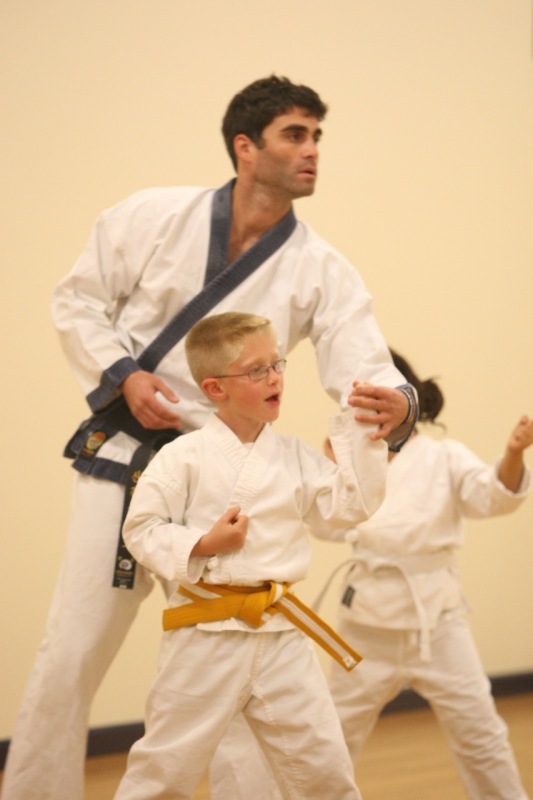 He has not only learned self-defense skills but important values such at self-discipline and respect for others. 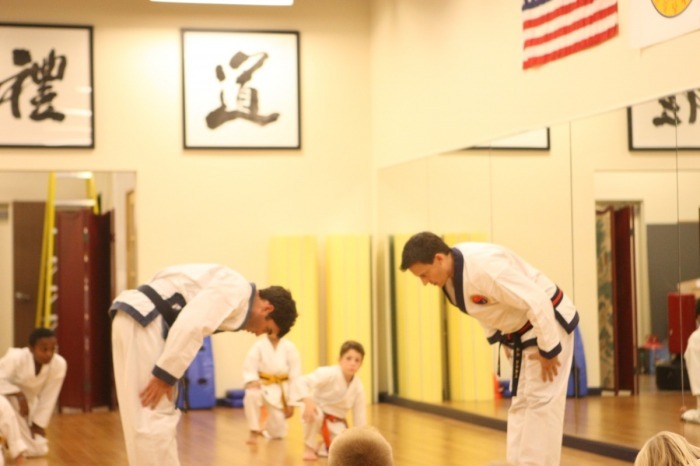 The instructors encourage the kids to become teachers and role-models to the other kids that have lower belts than they do. I am so impressed with how the kids from OC Kicks behave outside of karate. I can only assume that this is a result of what they are taught at OC Kicks. We love this studio and have been with them for well over a year. The instructors give each student the attention they need to succeed. We have our whole family training here together (2 kids plus mom and dad) and love everything about it! My son and I train together, along with other great families that we're grateful to know. If you're looking for a school that teaches the martial way in purest terms of body, mind and spirit, come join OCKicks. Our son has really enjoyed learning from Mike and Larry for the last year. After trying baseball, soccer and golf, I think we have finally found an activity that he really enjoys (and enjoys practicing at home). There is a great balance between fun and learning at OC Kicks which I believe is a pretty rare find. We love the Masters, the teachings and the facility. There are numerous karate studios nearby, but we are more than willing to go the distance to have our kids learn from the best. Excellent studio! My kids signed up for the summer trial session and are now hooked! 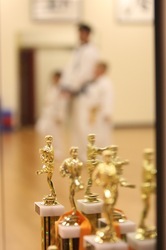 I have really loved what martial arts has done for both my kids. When I met my husband he had already been training for a few years so I have always liked and appreciated it. Now that I have watched my children train since they were just five, I appreciate it even more! Both have benefited so much from it, not just for the obvious reason of physical fitness but they both are very focused, goal driven, confident kids and I really think a lot of it has come from martial arts. 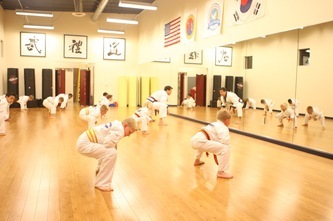 They learn to focus and set goals in the actual classes and especially during the belt tests. Every time they break a board or over come feelings of nervousness and/or self doubt at a test or tournament they build character - things that we as moms can't really "teach" our kids, they have to learn them from experiences. For both my kids, especially my ten year old daughter, it has helped them become leaders among their peers and confident around adults. At OCKicks assisting the instructors is a big part of the schools curriculum. As a mom I always feel so proud when I see one of my kids (10 and 12) lead a class of 10-15 people. Neither one of them will ever have a problem with public speaking. As you can tell, I highly recommend it!